Rosewood's Destination Mexico Promotion features rates from $395 at Rosewood Mayakoba and from $515 at Las Ventanas. Included in the rate is full breakfast for two, a $200 resort credit and if you book through Elite Travel International, upgrade priority and additional amenities. There is a three-night minimum stay, valid on stays through October 14. Fairmont Mayakoba's "Sweet Deal" package definitely is a SWEET DEAL. Rates from $279/night through mid-November include daily breakfast buffet and a $250 f&b credit (per stay), one complimentary access pass to the Willow Stream Spa facilities (valued at $98) PLUS, purchase one 60-minute spa treatment get a 30-min one free. Purchase a round of golf at El Camaleon, play as many rounds as you want. AND, enjoy a complimentary boat tour of the water canals. At the beautiful Capella Ixtapa, rates through Oct 15th include daily breakfast, free WiFi, afternoon snacks, water/soft drinks, a $100-$250 resort credit (depending on room style booked) and upgrade priority when booked through Elite Travel International. Kudos to Kor Hotel Group for thinking outside of the box! The Tides Zihuatanejo will actually reimburse you for plane fare (from $500 to $1000/ticket for 2 tickets depending on room category booked) when you book a minimum five-night stay. Or, book one room get the second room free! As you might expect, there are a lot more luxury Mexico hotel deals currently on offer. 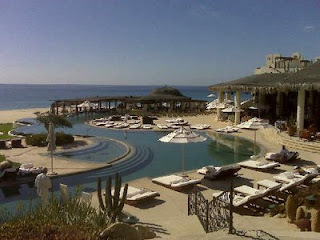 We'll update this list regularly and also post new offerings as they come in on Twitter (http://www.twitter.com/elitetravelgal) NB: Book your Mexico vacation through Elite Travel International and we'll ensure you are VIP'ed at the hotel of your choice. For more information, contact elitetravelgal@gmail.com or visit www.elitetravelinternational.com. confused want to start bisbis, confused determine the theme of your business, visit our website, we provide information about business Visit Here,,!!! Hi! Someone in my Facebook group shared this site ipadair3i with us so I came to check it out. I’m definitely enjoying the information. I’m bookmarking and will be tweeting this to my followers! Superb blog and great design and style.